Get acquainted with each step of the lacquerware production process (woodturning, polishing, lacquering, maki-e decoration and other). 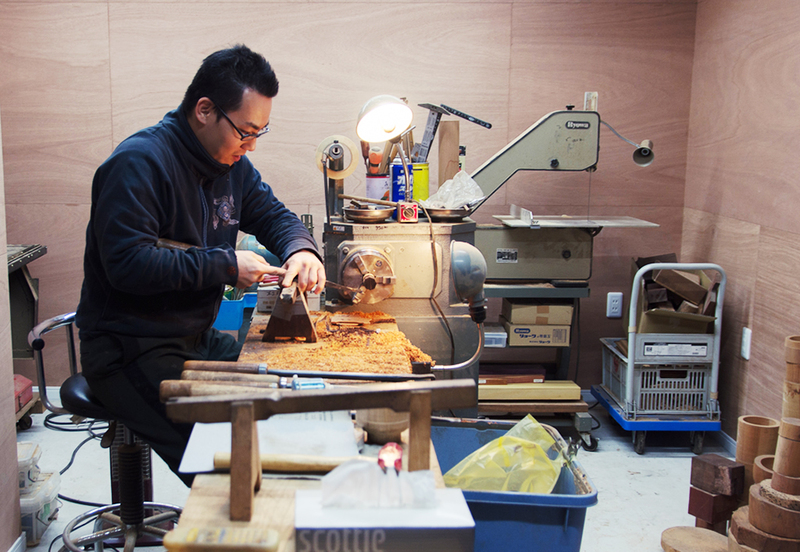 Kyoto lacquerware is created in a world of unparalleled craftsmanship. Choice of materials, time and effort spent at application of multiple layers of lacquer, reinforcing the corners with sabi coating, original decorating techniques -- every step of the process is carefully executed for producing a high-quality item of subtle beauty. Elegant design, strength, smooth beautiful surface and delicate finish of angles are the original features of Kyoto lacquerware. Feel free to observe and learn more about them during your visit to the studio.